The secret is out! 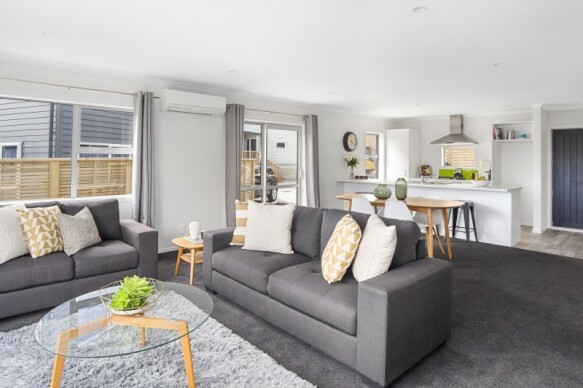 Newlands is fast becoming the go-to suburb for Wellington home buyers, with the short drive to the CBD and great public transport routes making this suburb a sensible and very appealing prospect. This modern, stand-alone home is newly built and provides all of the comforts one would expect in a contemporary property. As part of a boutique development the serious bonus at 20 Glanmire Road is that you sit on a freehold title, so no body corp levies to pay. The low maintenance lifestyle on offer will appeal to a range of buyers, and with the Newlands amenities and local schools close by, families young and old will want to explore the opportunity here.